No matter how tight you sleep it won't stop the bed bugs from biting. These pests are great at setting up shop in our homes and sometimes even get into the places where we work and play. Luckily you can see them - adult bed bugs are about the size of an apple seed. Immature bed bugs (nymphs) resemble the adults, but are much smaller and lighter in color. Unfortunately they are really good at hiding out of sight in cracks and crevices near where we rest. All they eat and drink is blood - from us. If you suspect bed bugs, you want us there to help. LET US GET YOU BACK TO SLEEPING TIGHT! They have been found in all fifty states. The tri-state area has been especially hard-hit with bed bug infestations in recent years because of our population density and mobility. A number of adverse health effects may result from bed bug bites, including skin rashes, psychological effects, and allergic symptoms. Bed bugs are not overwintering bugs; once they find a location with human hosts, they stay there. Bed bugs do not use our homes as a refuge from winter temperatures; they use homes because of its human hosts. First step is a thorough inspection to confirm the presence and extent of the bed bug infestation. Once we diagnose the situation, we will prescribe a custom treatment plan. 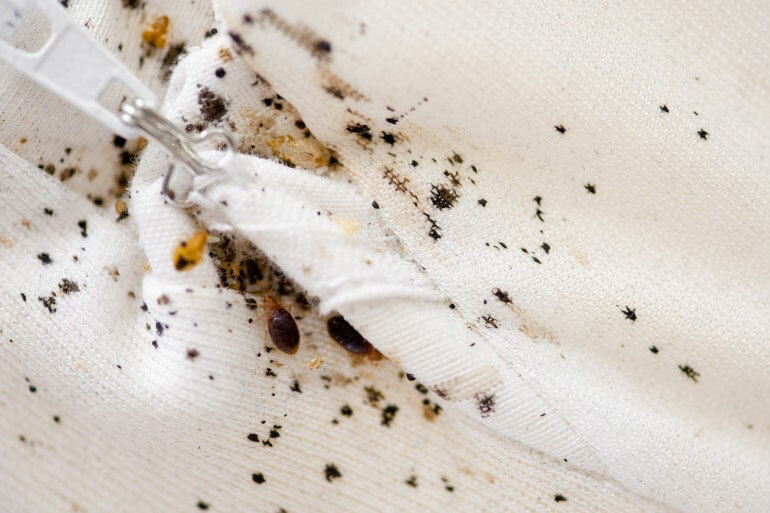 Bed Bug treatment is usually a multi-facted approach, utilizing a combination of heat and chemicals as well as physical activities such as vacuuming, laundering, scrubbing and wrapping in plastic. Follow-up treatment is usually necessary to kill the newly hatched nymphs. Describe your request or current issue.